As everyone knows, moving can be stressful. But, have you considered that as disruptive as it is on you, it may be even worse for your kids? 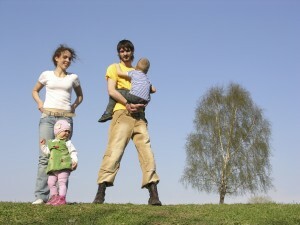 Try some of these tips to make it easier on the entire family. If possible, try and involve everyone in the decision. Kids need to feel like they are part of things. Include them in the discussions, give them as much information as you can and involve them in the conversations about the new home, neighborhood, and city. If they’re frightened of a new neighborhood or school, take the time to ease their fears. Allow your kids to visit the new home before the move and take a tour just for them. If they’re old enough, let them make plans to decorate their bedroom (it’s a bonus to have it painted just the way they’d like before the move). And, if possible take them to see their new schools. When packing, ask your children to help. Younger kids don’t understand when their favorite toys magically disappear so allow them to place them in the boxes. Involve older kids in the process by having them plan with you for the move to make it seamless. On moving day, it’s easiest to get a baby sitter for younger kids but even older ones may feel like they are in the way. Plan a play date for them and have them dropped off at the new home just in time for a special pizza dinner. Be sure to have all the bath and bedtime things you’ll need packed away in special boxes so you can find them the first night. Once you’re moved, focus on the kid’s rooms first so they have a safe place of their own. While moving with kids can often be unsettling, you can make it less stressful by focusing on getting back to normal routines quickly and easily.